Shielded cable ending at both sides on a BNC male connector. 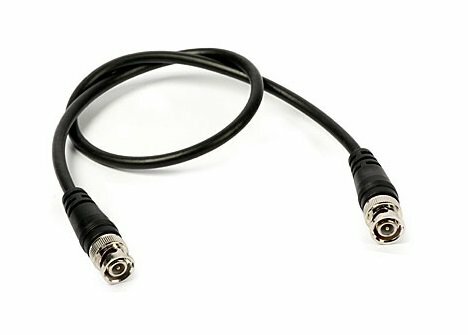 This cable could be very useful to connect any conventional laboratory instrument, like an oscilloscope or a function generator, to the BNC female inputs in the openDAQ's labKit. You can make advantage of the shared ground reference available in the kit, and just use a single wire to read (or generate) signals in any point of your circuit.